Clinicians caring for vulnerable babies in the neonatal intensive care unit (NICU) need to closely monitor their vital signs, but precisely gauging the function of their tiny hearts has remained elusive. Clinical markers like blood pressure, heart rate and urine output are available, but they are indirect measures of cardiac output, how much blood the heart pumps per minute. Less invasive techniques, such as Doppler ultrasound, can be imprecise. Respiratory mass spectrometry or catherization would provide more precision by directly calcuating cardiac output but carry risks or are not feasible for neonates. Clinicians at Children's National Health System hypothesized that COstatus monitors could offer a way to directly measure cardiac output among neonates. The COstatus monitor—a minimally invasive way to measure hemodynamics—captures cardiac output, total end diastolic volume, active circulation volume and central blood volume. The research team tested the approach by leveraging ultrasound dilution: Injecting saline, which has an ultrasound velocity of 1533m/second, slows the ultrasound velocity of blood from its normal rate of 1580m/second and produces a dilution curve. 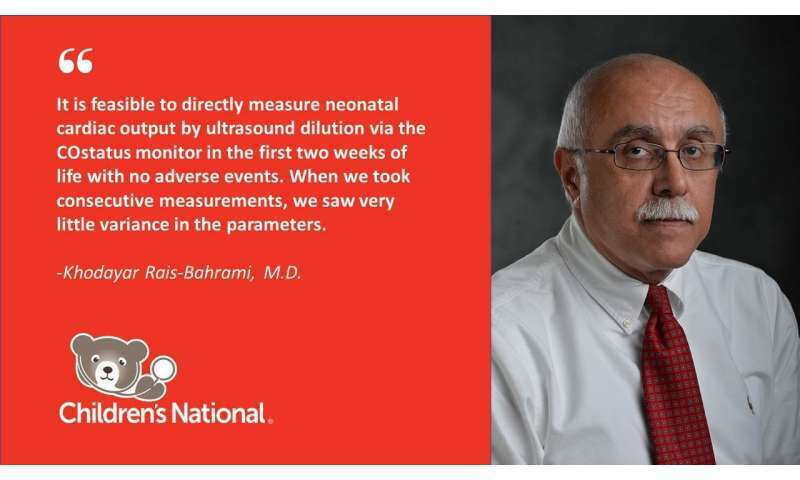 "It is feasible to directly measure neonatal cardiac output by ultrasound dilution via the COstatus monitor in the first two weeks of life with no adverse events," says Khodayar Rais-Bahrami, M.D., a Children's neonatologist and senior author for the research presented during the Pediatric Academic Societies 2018 annual meeting. 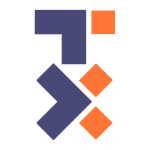 "When we took consecutive measurements, we saw very little variance in the parameters." The COstatus monitor uses an extracorporeal loop that is connected to arterial and venous catheters. The 12 neonates included in the study already had umbilical venous catheters as well as either a peripheral arterial line or umbilical arterial catheter. The infants ranged in weight from 0.72 to 3.74 kg and were born at 24 to 41.3 gestational weeks. The infants' cardiac output was measured 54 times from 1 to 13 days of life. Up to two measurement sessions occurred daily for a maximum of four days. The mean cardiac output was 0.43 L/minute with a mean cardiac index of 197mL/kg/minute. Future research will describe normal cardiac output ranges for neonates as well as how these measurements evolve during the first week of life.